This exciting project will offer an opportunity for youth from the Middle East and Europe to work together in a new way. The project will help them develop understanding and solidarity between them as they create and run activities to support the work of Camden Abu Dis Friendship Association (CADFA) including communication with twinned organisations in Palestine. 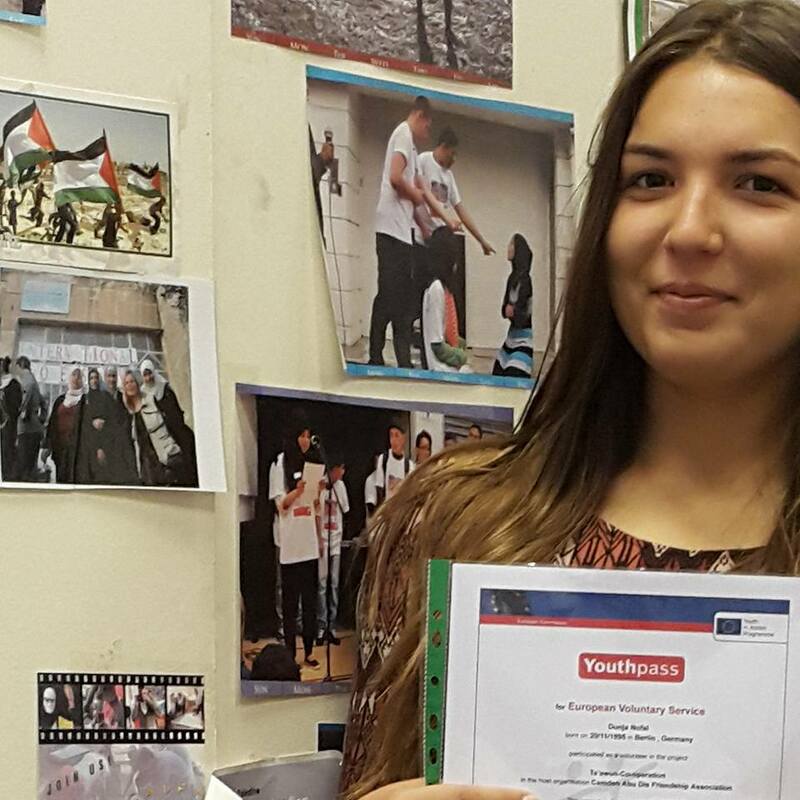 Young volunteers from Palestine will work alongside young people from France, Spain and Germany. They will be based at CADFA’s office in Camden. Drawing on experience from their own cultures and areas of their own interest/ competence, they will help with events and activities in Camden and with CADFA’s partner twinning groups. (6) they are prepared to work on a voluntary basis, full-time, and are prepared to be punctual, reliable, respectful and co-operative. helping to collect material together for additional dissemination afterwards, including events. Air tickets, accommodation, living expenses, insurance.